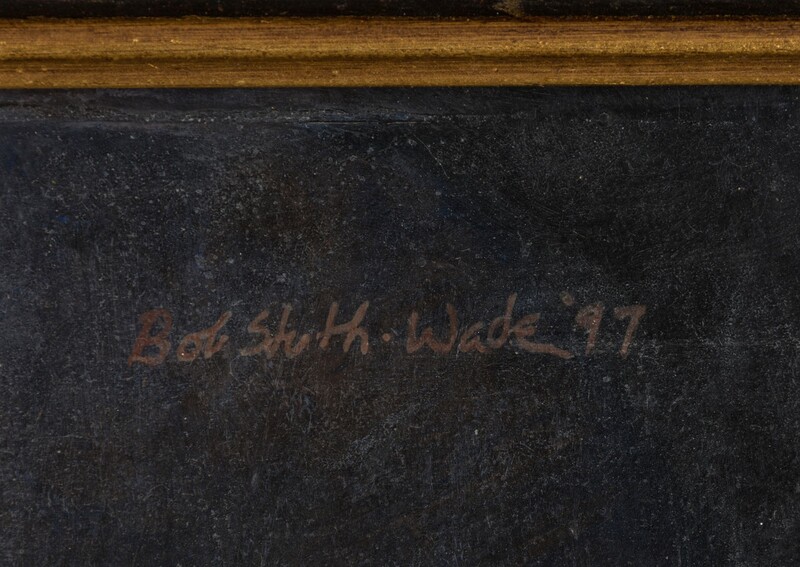 Bob Stuth-Wade can be considered a child prodigy. 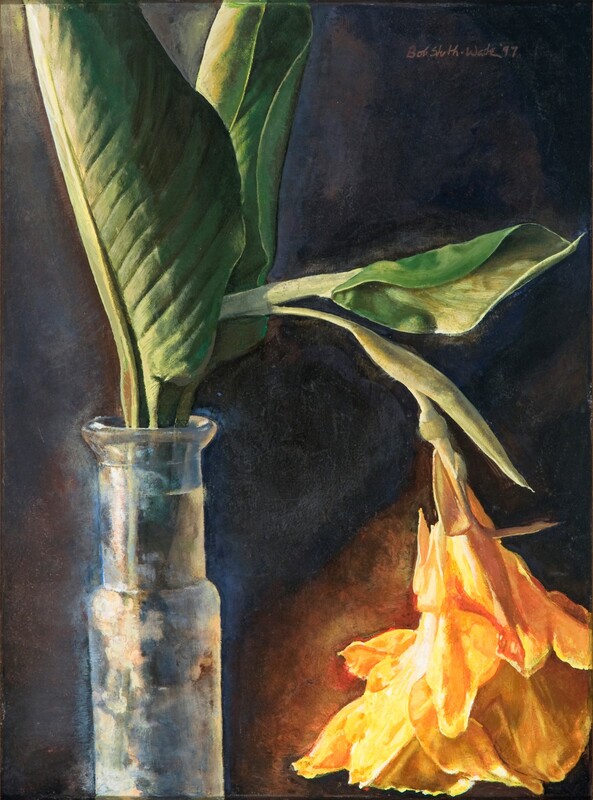 He had his first solo gallery exhibition of egg tempera paintings in the style of Andrew Wyeth at age 17. Bob is not only equally facile in most any media he decides to work in, he is always exploring new ways to make traditional media better. As an energetic child I was encouraged to paint and draw to keep me out of my parents' hair. To their surprise I showed an aptitude for it. My father found a teacher capable of corralling me long enough to learn a little. 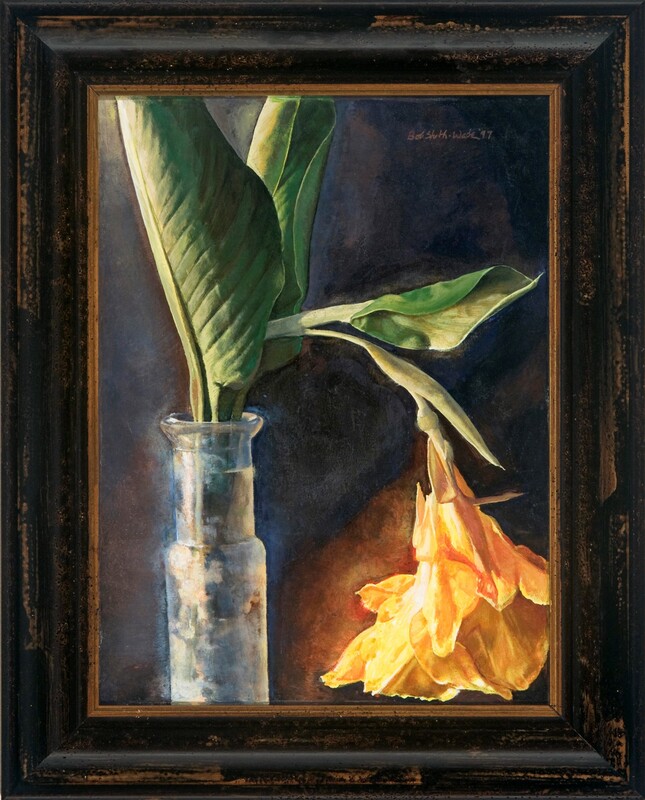 I grew in ability and as a teenager was introduced to Perry Nichols, a highly skilled painter and gifted teacher. Mr. Nichols took me under his wing and taught me fundamentals of traditional oil and tempera painting. My first one-man show was in 1970 at the age of 17. The show consisted primarily of tempera paintings and was a sell out. 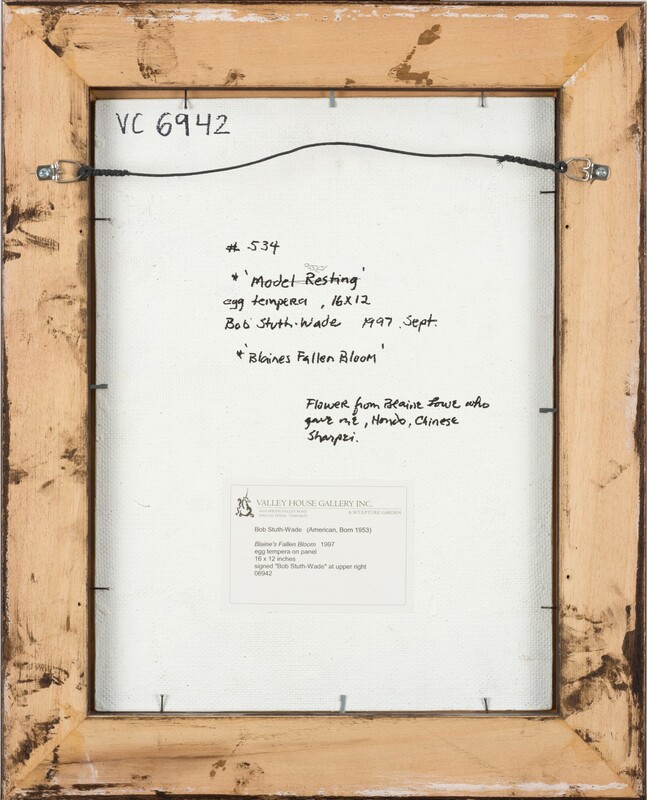 I continued to paint in a traditional manner until 1972 when I stayed briefly in California. There were so many horrible imitation Wyeth's and I just couldn't paint in that way anymore. The next ten to fifteen years were spent experimenting with modern styles and techniques. I used to go to the museum and see the "Rothko's" and "Gottlieb's" and had no idea what they were about. After studying and painting for several years I finally understood. It was wonderful! Like being able to speak another language. So much more to enjoy and do! After several shows and a thorough grounding in modern art I came full circle back to realism. I recovered my traditional technique and began painting in a style similar to the one Perry Nichols had taught me. The years of abstract painting show in the compositions and sometimes in choice of subject matter. I am aware and appreciative of the liberating influences of the art of the last century, but am rooted in the technical skills that were often neglected during that period. I find it a wonderful balance being able to play and to flow with precision, enjoying Rembrandt and Rauchenburg. After all they are both part of our artistic heritage and part of our tradition and I am a traditional painter.